Answer Fitness® > Diet and Health News > MRSA: Is Antibiotic Resistant Staph Lurking At Your Gym? MRSA, or Methicillin-resistant Staphylococcus aureus, killed more people last year than the AIDS virus. Find out the symptoms and treatment of MRSA infection and how to protect yourself at the gym from this super bug. Its silent, invisible and potentially deadly. And it could be hiding out at your gym, health club or local fitness center. Its known as MRSA, or Methicillin-resistant Staphylococcus aureus (also called staph) and it has public health officials worried. Once limited to people with compromised immune systems and people in health care facilities like hospitals, nursing homes and dialysis facilities, epidemiologists have grown increasingly concerned about a new phenomenon: MRSA that has spread outside of health care facilities and seems to infect normally healthy individuals. Of particular concern is whether MRSA can be spread on surfaces in common shared facilities like public restrooms, schools, dorm rooms and yes gyms. What Is MRSA and Why Is It So Dangerous? So what exactly is MRSA? MRSA is whats often referred to in the media as a super-bug a strain of bacteria that can resist the effects of antibiotics. Antibiotic resistant strains of bacteria have become increasingly common over the past several decades. While some mutations that result in antibiotic resistance happen as part of natural cell reproduction, there is increasing evidence that over-prescription or improper use of antibiotics has accelerated the development of super bugs. Indeed, researchers believe that the development of the MRSA bacteria likely was accelerated by overuse of broad-spectrum antibiotics. Its important to understand that Staphylococcus aureus is a common micro-organism that is typically present in the nose and on the skin of one third of all people. There mere presence of the bacterium does not ensure infection, and in many cases, people come in contact with Staphylococcus aureus on a daily basis. About 20% of people are long-term carriers of Staphylococcus aureus and may show no symptoms. However, if infection does takes hold it can result in everything from mild skin infections like pimples or impetigo, to more serious conditions like pneumonia, meningitis, Toxic shock syndrome (TSS), or septicemia. 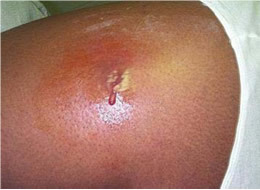 Staphylococcus aureus is one of the leading causes of post surgical wound infection in hospitals. The problem with Staphylococcus aureus is that its particularly adaptable to antibiotics. In fact, it was the first bacteria to be found to be penicillin-resistant. It showed resistant to penicillin in 1947 a mere four years after penicillin became widely available. Since then, the bacterium has continued to evolve resistance to each new class of antibiotics most recently Methicillin. The statistics around MRSA are sobering. A 2007 study from US Centers for Disease Control and Prevention (CDC) and published in the journal Emerging Infectious Diseases, estimates than cases of MRSA treated in hospitals had more more than doubled in the past six years, from 127,000 in 1999 to 278,000 in 2005, and deaths increased from 11,000 to 17,000. Even more alarming to health care professionals in the emergence of something known as CA-MRSA (Community-Acquired MRSA) which is spread not in healthcare facilities among the immuno-compromised, but within larger communities of otherwise healthy individuals, including within correctional facilities, newborn nurseries, among military recruits, and even athletic teams. This has focused additional attention around whether gym equipment and surfaces in fitness and health centers are providing a perfect environment for breeding and spreading MRSA among otherwise healthy individuals. But how much of a risk is MRSA to the average gym-goer and fitness buff? And should you really be worried? Typically MRSA staph infections are spread through person-to-person contact. MRSA may also be present on surfaces and equipment. Again, the bacterium is quite common and nearly one-third of all people have Staphylococcus aureus present (or colonized) on their skin or within their nasal passages. While infection is much higher within healthcare settings (also known as Healthcare-Acquired MRSA or HA-MRSA) where individuals may be susceptible to infection via surgical or medical procedures, MRSA can also be spread through more casual contact or in non-hospital settings. Community-Acquired MRSA is usually spread within close-quarter environments like dorms, military barracks and possibly athletic clubs. Individuals who recently underwent a course of antibiotics, share contaminated items, live in crowded environments or have reoccurring skin infections like acne or even acute skin reactions like poison ivy, are more susceptible to contracting MRSA. The bacterium is generally harmless when confined to the surface of the skin, but infection can take place via breaks in the skin, such as open cuts, sores, or abrasions. So what does MRSA look like? And how would you even know if you had a staph infection? Again, the critical thing to watch out for is not pimples or bumps, per se, but rather the secondary signs of infection, such as redness or burning. People may mistake MRSA for spider bites, especially in its very early, emerging stages. Also, if a bump or cut doesnt show progressive signs of healing within 3-4 days or its accompanied by a fever or flu-like symptoms, its probably a good idea to see a doctor just to be safe. A systemic staph infection can not only be very difficult to treat, but deadly. What Is The Survival Rate of MRSA? According to the CDC the mortality rate of MRSA infections is 6.3 per 100,000 people. That means that every 6 people out of 100,000 who contracted it died – a survival rate of 94%. MRSA and Athletes and Fitness Buffs: Should I Be Worried about Staph MRSA at the Gym? Generally, MRSA doesnt pose a substantial health-risk to gym-goers, provided you take proper precautions. However, their are a number of documented CA-MRSA cases within athletic teams or among otherwise healthy individuals participating in certain contact sports. Since the staph MRSA requires a break in the skin (or access through mucous membranes), people engaging in high-contact sports that also encourage abrasions to the skin and soft tissue can be more susceptible to MRSA infection. Examples of these activities include wrestling, rugby and football. Football players who practice or play on artificial turf can be especially at risk, because the artificial playing surface may not only harbor the MRSA bacterium, but also encourage the types of abrasions necessary to facilitate infection. Shared gym facilities, whirpools and showers within a team can help encourage the spread MRSA under these conditions. In fact, a 2002 outbreak of MRSA among the University of Southern California (USC) football team highlighted the risks of MRSA among even healthy, high-conditioned athletes. During the 2002 season, two USC football players were diagnosed and hospitalized for sever complicated skin and soft-tissue infections (cSSTIs) resulting from MRSA infection. One athletes cSSTI developed into necrotizing fasciitis, a form of staph infection referred to ominously in the press and media as the flesh eating bacteria. The other athlete developed a sever abscess in his leg that required lengthy treatment. The 2002 outbreak, however, was mild compared to what the USC football team experienced during the 2003 season, when 17 of the teams 107 players exhibited MRSA-like infections. Through an aggressive MRSA infection control and prevention program, the university was eventually able to stop the spread of MRSA and limit future outbreaks. The episode, however, clearly showed the potential dangers of MRSA infection in non-healthcare settings. Jorge Parada, director of the infection control program at Loyola University Hospital in Maywood, recently told the Washington Post that while the benefits of exercise outweigh the risks of contracting MRSA, the bacterium can be transmitted via shared equipment without direct human-to-human contact and that gym-goers should take some additional preventative steps to safe-guard themselves from picking up MRSA at the gym. Regular and frequent hand-washing is still one of the most effective ways to prevent the spread of Staphylococcus aureus or MRSA both in and out of the gym since it can be present on the skin and a wide-range of surfaces and equipment. Antibacterial soaps are generally not necessary (except when utilized to stop a community-based outbreak of MRSA) and washing the hands thoroughly for at least 20-25 seconds with soap and warm water should do the trick. If water is not available, washing the hands with alcohol-based waterless sanitizers is also effective at preventing the transmission of MRSA. Thoroughly clean exercise equipment before and after using it. Insist that your gym provide plenty of disinfecting spray or solutions for the equipment as well a disposable paper towels. Place a barrier (such as a clean towel) between yourself and shared-exercise equipment like weight machines, yoga or wrestling mats, Swiss or Stability balls, weight-lifting benches, etc. This includes locker room and sauna benches. Use disposable towels at the gym, make sure you are only using clean towels if your gym provides them, or better yet bring your own towel and make sure wash it in-between visits. Ask your gym how they ensure proper hygiene and sanitation of equipment, including how towels are washed and at what temperature (towels should be washed in water that is at least 140°F) as well as what type of cleanser is being used for towels and surface sanitation. Refrain from sharing towels, wash clothes, clothing, soap (especially bar soap), swimwear, combs/brushes, and shaving gear. Keep any cuts, open wounds or skin abrasions well covered and bandaged. Use topical antibiotic creams on minor cuts, wounds and abrasions as an extra precaution and keep them well dressed and clean. If you have any cuts, open wounds/sores or abrasions avoid things like whirlpools, saunas and hot tubs until the wounds are thoroughly healed and closed. Treating MRSA or other staph infections is dependent on the severity of the infection. Colonized Staphylococcus aureus on the surface of the skin or in the nose typically doesnt warrant treatment via antibiotics, although if there is an outbreak, mupirocin antibiotic cream can sometimes be prescribed to asymptomatic carriers to potentially eliminate MRSA and prevent its spread. Some mild staph infections will heal themselves without the use of antibiotics. 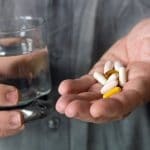 However, if the infection is serious, treatment will typically involve draining the infection site regularly coupled with an (often aggressive) course of specific antibiotics. Because MRSA is resistant to not only penicillin, but also a number of other common antibiotics, doctors have a limited number of drugs available to fight the infection. These include newer antibiotics likevancomycin (Vancocin), linezolid (Zyvox) and a few others. Sometimes treatment of severe MRSA infections will involve the use of several antibiotics together or in succession. 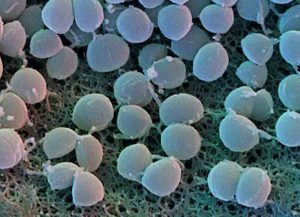 There are some reports already of a Vancomycin Resistant Staphylococcus aureus (VRSA) strain, which may indicate the next super-bug doctors will be dealing with. If you are placed on antibiotics to treat either mild or severe staph infection or MRSA, its critical that you complete the entire course of antibiotics. Some people stop taking the medication after symptoms improve or go away, thinking they are cured and do not complete the full course. 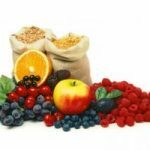 This can not only result in a re-infection, but also may contribute to additional antibiotic resistance. Bottom line: Take the medication exactly as your doctor prescribes, dont skip doses, and finish the entire course. While MRSA certainly can be scary, its important not to overreact or avoid activities you enjoy. MRSA transmission and infection is generally easy to prevent if you pay a little extra attention to basic hygiene and good sanitation and hand-washing practices. And by recognizing the early signs of a potentialStaphylococcus aureus or MRSA infection, you can ensure that if you do catch the bug, you can get quick and effective treatment and prevent the transmission of MRSA to others. So go ahead and keep working out just do it safely. Very intresting article. This is one of the many topics that I would typically bypass when studying or focusing on the gym. To know that MRSA can have these affects has made me far more aware of the hazards in a gym (dont for one second think Im going to stop going daily I am just literally more knowledgeable and understanding of it). Surely this is not the biggest risk of a type of infection at a gym though? It seems the chances of suffering from are are acute (touch wood). Thanks for stopping by Jack. Youre right, the chance of contracting MRSA at the gym is fairly slim especially if you are taking basic precautions which you should normally follow in your day-to-day hygiene anyway. You have a better chance of catching more run of the mill things like colds or the flu at the gym than a staph infection. In the case of the flu, the flu can be almost as dangerous as MRSA if you get a nasty strain or develop complications. So as you point out, its important to keep some perspective around staph infections. Stop by again. could present as a respiratory infection. Improper diagnosis and treatment have lead to the increase and severity of Community Acquired MRSA. When left untreated or treated improperly, MRSA can cause systemic failure as happened to me. My immune system, central nervous system, neurological and endocrine systems all went into a hyper-response or metabolic meltdown; leaving me in very poor health and unable to walk around the block without adverse effects. I now have tics and tremors, intermittent periods of muscle pain and weakness, etc. So be cautious and wash your handsand if you have a rash that burns and/or itches and spreads and doesnt resolve within a couple weeks, dont accept Neuro-dermatitis as a diagnosis! Hey Jeannie good to hear from you. Youre right that MRSA and/or staph often gets misdiagnosed. The localized skin infections can look pretty harmless early on and people (including doctors, sometimes) will dismiss them as run-of-the mill rashes, insect bites, etc. The systemic or respiratory staph infections of course can be deadly so early diagnoses and aggressive treatment is really key. My cousin whom I was very close with growing up actually contracted a systemic staph infection while he was studying in in England and it was mis-diagnosed as the flu. He died suddenly a week later at tea from heart failure the staph had spread to his heart. If this had been caught earlier, hed probably be alive. He was 23 years old (this was in the early 90s.) As always, its better to be safe than sorry (within reason) when you are dealing with something like MRSA. Very helpful article, thanks !! , I think this is the result of our hair trigger reaction towards infection , at the slightest indication of a infection we immediately take antibiotics , My doctor once told me that hold out as long as possible , and let my immune system do its job that way you will benefit with acquiring a stronger immune system. This is the result too much antibiotic use normally benign strains of bacteria become dangerously virulent as response to this microbiological arms race. As a Microbiologist and Natural Health Researcher, Ive spent alot of time researching MRSA and Staph. I had my own recurring sinus infections a few years ago. I think this is the result of our hair trigger reaction towards infection , at the slightest indication of a infection we immediately take antibiotics , My doctor once told me that hold out as long as possible , and let my immune system do it’s job that way you will benefit with acquiring a stronger immune system. As a society, our knee-jerk reaction has been to take antibiotics for everything even colds and flu where they wont help at all. It is important to note that some forms of Staph and MRSA (especially CA-MRSA) are very virulent and can progress quickly and one should see a doctor if they are concerned. However, I believe antibiotics should only be used as a last resort, as the overuse is leading to more and more superbug infections. Even the CDC is saying that it wont be long before we dont even have antibiotics that work. Antimicrobial soaps arent supported by the AMA and I believe should be stopped as they also kill the good guys that help protect your skin. Use natural soap and warm water to keep your hands and skin clean. Above all, in the age of antibiotic resistance, its critical that each of us find effective, natural medicinal antibiotics and use them first, saving antibiotics as a last resort for infection treatment. There are so many effective options available, yet many people are unaware of them or how to use them. Ive put my personal experience healing from my own chronic recurring infections, my education as a Microbiologist and Staph Researcher, and research into my website and book on <a href=http://www.staph-infection-resources.com>MRSA Treatment</a> options called MRSA Secrets Revealed. My site is at http://www.Staph-Infection-Resources.com. There have been thousands of people struggling with this infection, and antibiotics are not working for many of them. Ive put this together to help those from what I have learned. Thanks Matt for putting together a great resource page. Michelle, thanks for dropping by and providing a really well-written, sensible comment. I appreciate it. My apologies for the delay on approving your comment Ive been wicked busy with my day job since March and have become a bit behind. Im trying to catch up now. I hope people will read your comment and listen, since it is not only rooted in fact, but also common sense. MOST antibacterial soaps use compounds that encourage resistance. There are very few that kill microbes on contact in ways that do not encourage this resistance. The exceptions would be rubbing alcohol and bleach (which is far to harsh for skin contact.) There is a reason Docs and medical practitioners have used Isopropyl Alcohol (rubbing) alcohol for well over a century: Its an effective disinfective that does NOT result in genetic adaptions. Id take a shot at explaining WHY rubbing alcohol is better than the many of the non-Isopropyl options, but Ill defer to you, the micro-biologist to explain. Dear Jeannie, I am very interested in the possibility of a systemic staph in the case of my sons ailments. His symptoms match yours greatly. To this day, no one has diagnosed him. Weve been trying to figure out his exhaustion and other symptoms since November, 2003, when he suddenly took faint and ill with staph sores coming and going on his face and leg for 2-3 mos. in a row, cultured as staph aureas. I suggested systemic infection, but the doctors said he would be sicker. He had a low grade fever for over a month, and has relapses and remissions with grave fatigue. Any possibility of its lingering on this long without treatment. Has a funny movable rash here and there that resembles ring worm but does not resolve with meds for that. can mrsa be spread though kissing?? can it be harbored in the bloodstream and spread to others? Can a pregnant women give it to her unborn fetus? My daughter is friends with someone who kissed her and is 8 months pregnant. The friend just got over a bad mrsa infection in his arm.. she is worried. I am recovering from a MRSA abcess in my spine. The infection left me without the ability to walk. The Doctor that did the surgury said that they drained off 2 gallons of infection. Preceding the surgury I went thru 3 Months of agony and misdiagnosis.Dont let doctors tell you that your pain is imagined like they did me.